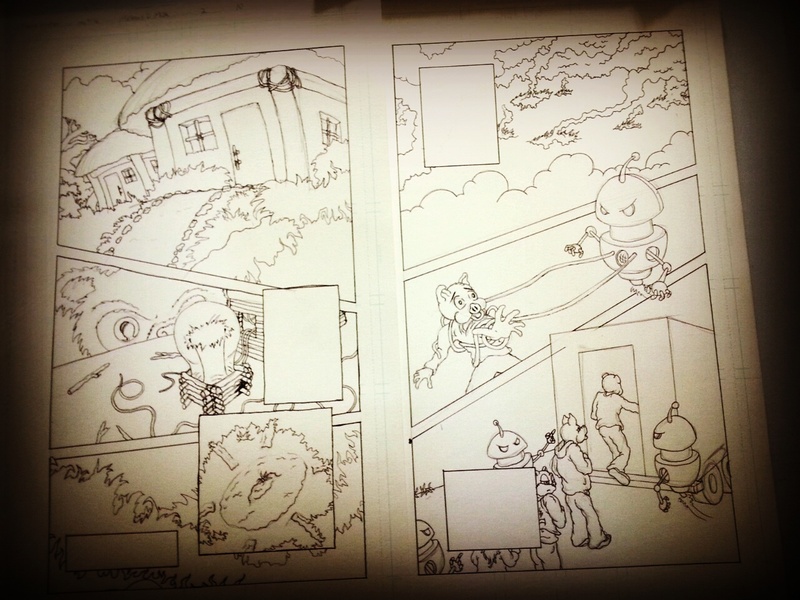 Call me insane or crazy but here are a couple pages that are precolor pretext of issue 2. It is now almost 60 percent drawn and inked. This is going to be a good one! So craziness full power he is the image…. Previous PostIssue 2 Sneak Peek!